Also known as “The Jonquil City,” Smyrna is one of the most ideal choices if you’re looking for a place to live in the Atlanta area. This Cobb County Atlanta suburb is an idyllic suburban environment with plenty of restaurants, parks, and other appealing features. You’ll find many home-owning families in Smyrna, as well as a good number of young professionals to keep the area feeling vibrant and modern. It’s a toss-up whether it’s better to buy or rent in Smyrna. The median home price in Smyrna is $248,600, which is about $64,000 higher than the national average, while the median rent is about $1073 a month, compared to the national average of $949. The residents are split between renting and owning, with about 54 percent of the population choosing to own their own homes, while 46 percent are renters. The median household income is just over $70,000, well above the national average. The cost of living index is 120, relative to an average score of 100, largely attributable to the cost of housing. The unemployment rate is a mere 3.3 percent, below the 3.8 percent national average. The most popular home styles here are the contemporary and craftsman. 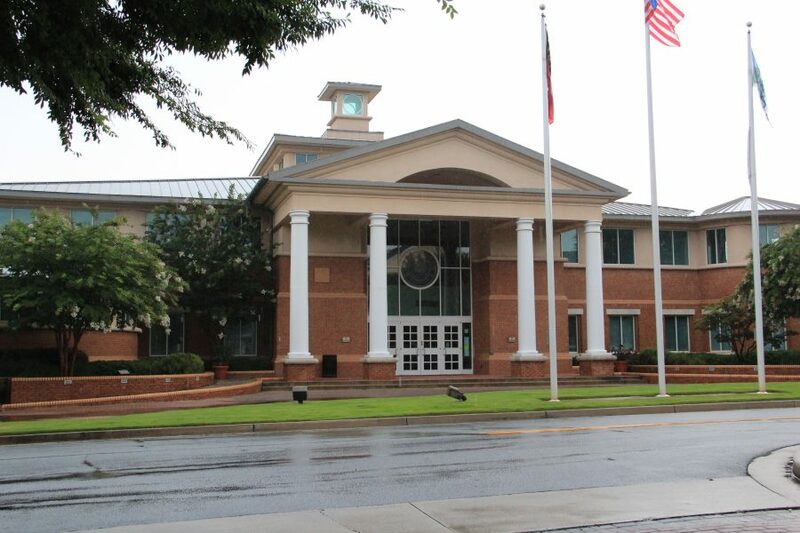 If you’re looking for the kind of community in Georgia where you can put down roots, a place that’s close enough to Atlanta that you can be right in the middle of the action in a fifteen minute car ride, but far enough away that you can truly soak in suburban life with your family, Smyrna is definitely the city to consider. A considerable number of residents of Smyrna work from home, and those who commute usually do so in their own cars. Smyrna is a car-dependent city with a walk score of 32, a bike score of 26, and a transit score of 21. Most errands will require a car. The city is served by the Cobb Community transit system and Marta public buses on a somewhat limited basis. The closest airport and train station are in Atlanta, with the Atlanta Amtrak a bit under eight miles from the city center. The average commute to work is just under a half hour each way. Smyrna has a bit over 55,000 residents in 23,000 households. Smyrna, Georgia is well known for being one of the most diverse cities in Georgia. It is roughly half African-American, one third Caucasian, 15 percent Latino and 5 percent Asian. The median age is around 33 years, and a bit more than half of residents have a college degree, with over 90 percent holding a high school diploma. Smyrna has many parks and trails for families to enjoy, including Whitfield Park, which has such amenities as playground facilities, picnic tables, a basketball court and a grassy free play area. Other options include Rose Garden Park, Taylor Brawner Park and Brinkley Park. You can spend the day at the Cumberland Mall, which has an Apple Store, a Cheesecake Factory, a Costco and over 100 other stores and restaurants. Or you can hit the links at the Fox Creek Golf Course, a Top 50 Public Driving Range Facility according to the Golf Range Association of America. Teenagers attend Campbell High School, conveniently located downtown. The Smyrna Community Center is a perfect place to take the family, with games, activities, and classes for both children and adults. Smyrna is a great city to own a dog in, with lots of parks and open space to run around in. And if you ever need someone to watch your furry companion while you are out of town, you can always drop them off at Happy Paws Pet Camp, right on Atlanta Road in Smyrna. There is no shortage of places to eat or grab a cup of coffee in the Smyrna area, with over 250 restaurants, bars, and coffee shops located there. The heart of Smyrna’s social scene is Market Village, an open-air, pedestrian-focused miniature city with seven restaurants, 16 townhomes, and over 40,000 square feet of retail space. Places to grab a drink in Market Village include Atkins Park Restaurant & Bar, Atlanta’s longest continuously running tavern established in 1922; and Zucca Bar & Pizzeria, which features unique homemade pizzas, other Italian fare, and over 20 taps with rotating local craft beers and domestic options as well as wine and cocktails. You can even take your beverage to go as you walk around the village! You can enjoy tasty Mexican cuisine at Moe’s Southwest Grill, featuring favorites with offbeat names like the Joey Bag of Donuts burrito and the First Rule of Chicken Club. Also be sure to check out The Corner Taqueria, another delicious and lively Mexican eatery in the Village. Atlanta and the surrounding areas are well-known as a focal point of much of the Civil War, and Smyrna is quite rich culturally and historically. Residents looking to learn more about the city’s history and culture can enjoy the Cox/Armstrong Civil War Collection, the Smyrna History Museum, and the Jonquil City Historical Trail. Smyrna is very senior-friendly, with the Aline Wolfe Adult Recreation Center offering fitness equipment, a therapy pool, and exercise classes for residents 55 years or older. The adult rec center also offers a heated therapy pool, a walking trail, a bocce court, and more. Although not exclusively for seniors, the Smyrna Community Center also has many options for older residents, including a game room, public WiFi, a TV/DVD/VCR combo, kitchen, racquetball courts, walking track, and activities for all ages. Interested in the Atlanta Metro? Sign up for FREE home trends updates sent right to your inbox!